There are many different violin sizes. A violin which is too large can make the arm tired. The left-hand fingers will not be able to reach their correct spots. 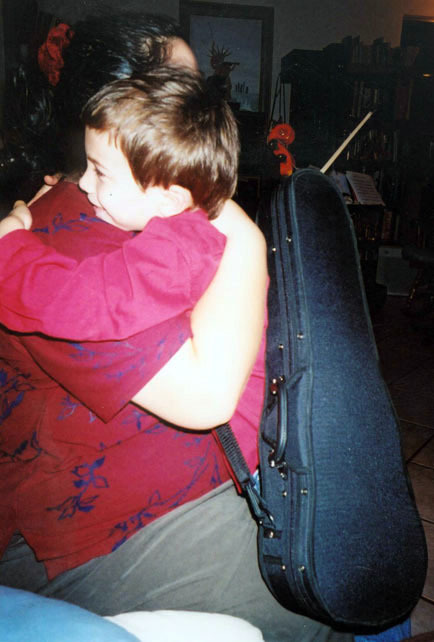 If your family has a full-sized violin, store it away until the child grows into it. Also, if you get a violin which is too small, it does not have the full sound of a larger violin and does not provide enough finger stretching. 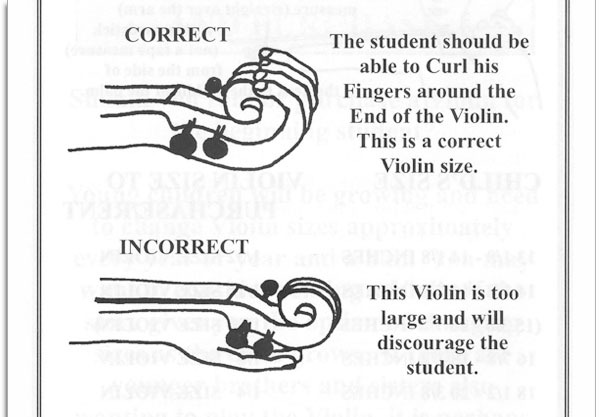 The correct size violin is measured by the following method. The student curls his palm and fingers up over the ball end of the Violin. 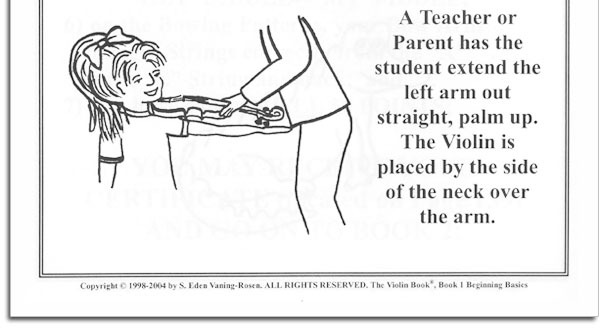 With the student in a standing position and with the left arm fully outstretched to the side (parallel to the ground), palm up, measure (straight over the arm) with a yardstick (not a tape measure) from the side of the neck to the middle of the palm.